Starwood Hotels & Resorts has opened Aloft hotels in Munich and Stuttgart. 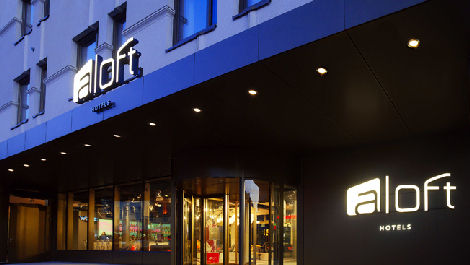 Aloft Munich and Aloft Stuttgart are the brand’s first properties in Germany. The 184-room Aloft Munich is located opposite the city’s central train station, Hauptbahnhof. Facilities include a bar, courtyard and 96 sqm of meeting space across three rooms. 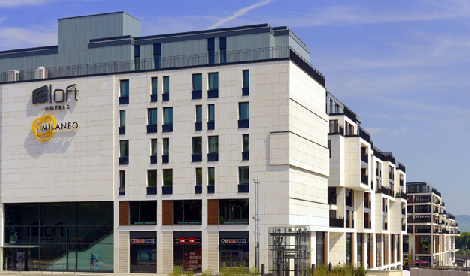 Aloft Stuttgart contains 165 “loft-like” rooms and is located in the city’s European Quarter. It features three meeting rooms, each sized 20 sqm. Both hotels have the SPG Keyless entry system (see news, November 2014). To read a review of this technology, click here.